This 10 cwt eight was last rehung by Taylor’s in 1979, when five of the bells were also recast. The church has now placed an order for electro-magnetic chiming hammers to be manufactured and fitted to all eight bells. 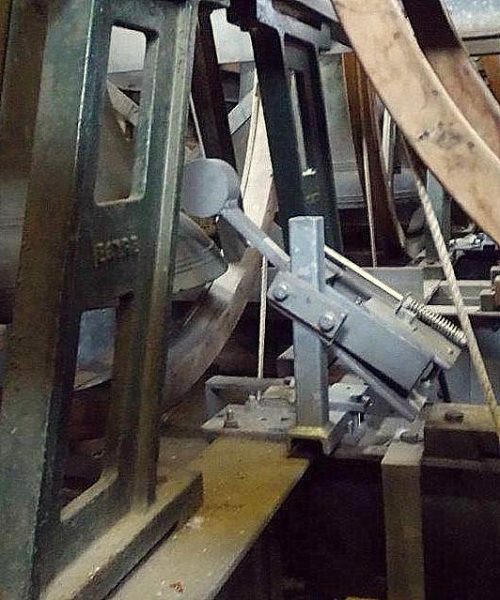 The hammers will be connected to a programmable Apollo control system, and this will allow tunes, change ringing, clock chimes or tolling to chime from the tower on all occasions needed by the church.